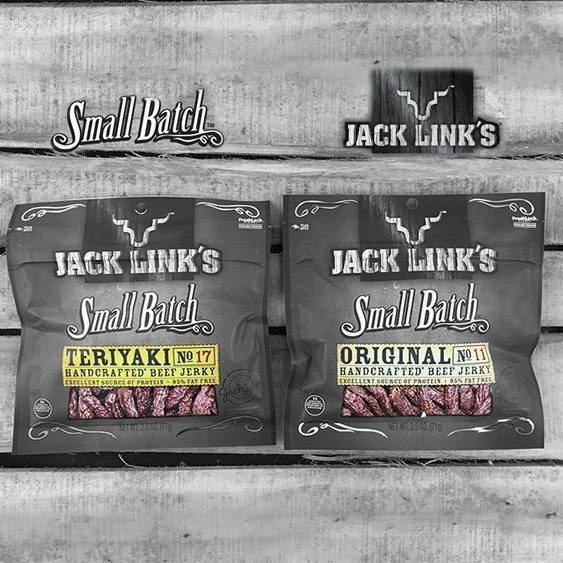 Jack Link's 'Small Batch' Jerky Only $5.99 + FREE Shipping From 13Deals! You are here: Home / Great Deals / Jack Link’s ‘Small Batch’ Jerky Only $5.99 + FREE Shipping From 13Deals! Jack Link’s ‘Small Batch’ Jerky Only $5.99 + FREE Shipping From 13Deals! The Best Things Start Small! For the Link family, it all started with jerky recipes passed down from generation to generation and perfected over time! Jack Link’s ‘Small Batch’ Premium Jerky is Only $5.99 Plus FREE Shipping From 13Deals! Available in Original and Teriyaki, buy 3 and the price drops to $3.33 each!